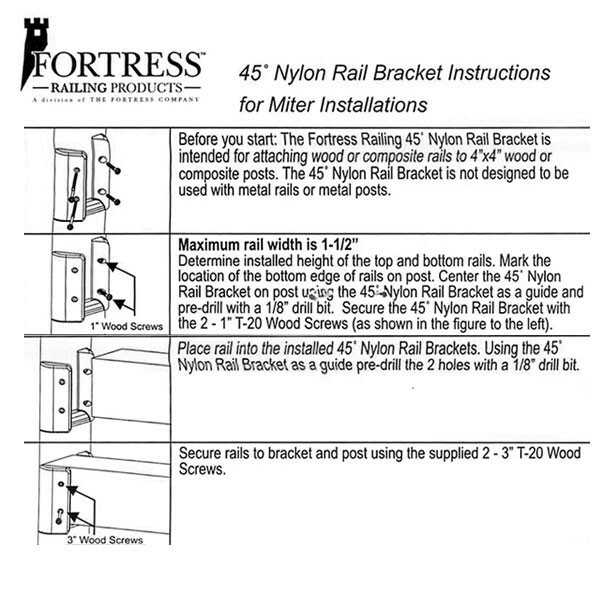 Fortress Railing Products offers 45 Degree Nylon Rail Bracket sets which makes quick work of installing mitered rail sections. 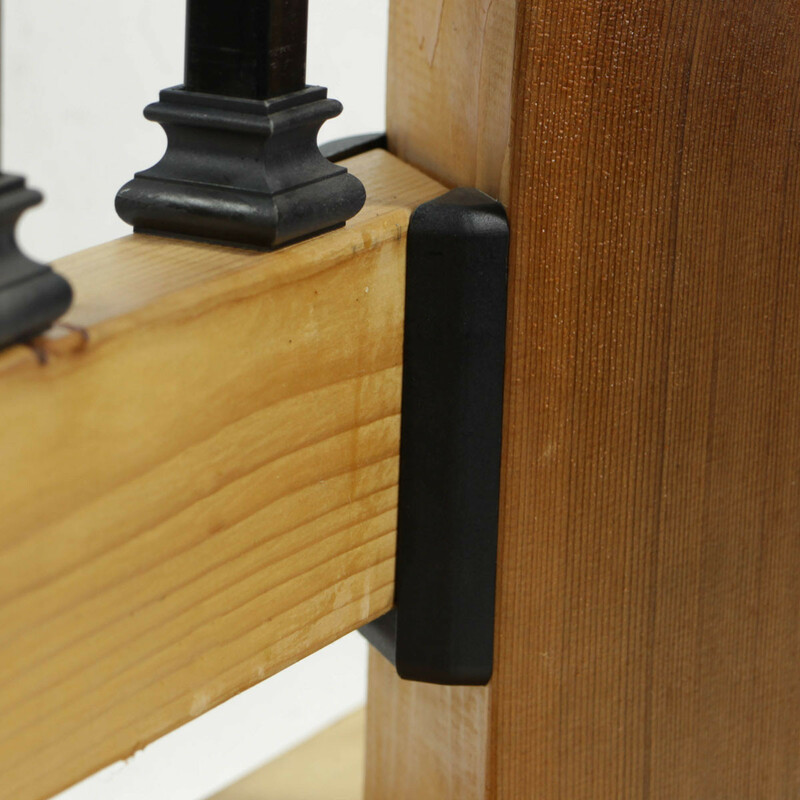 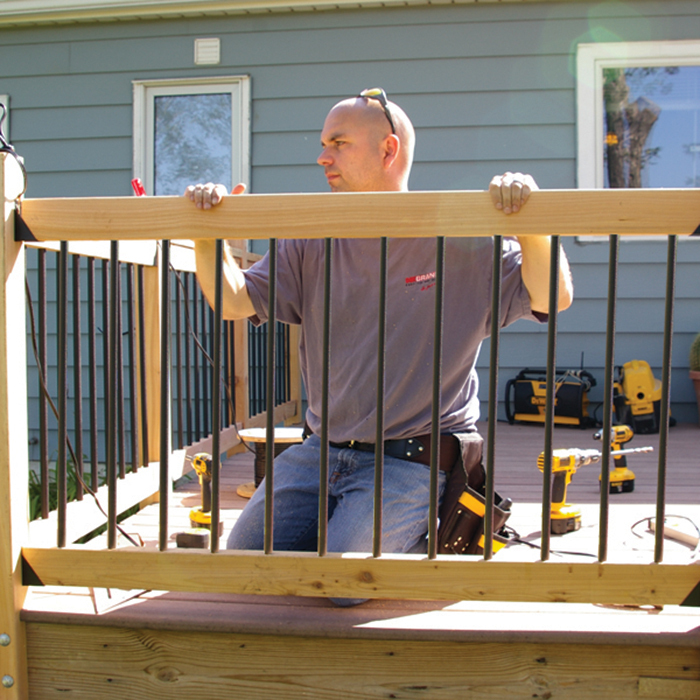 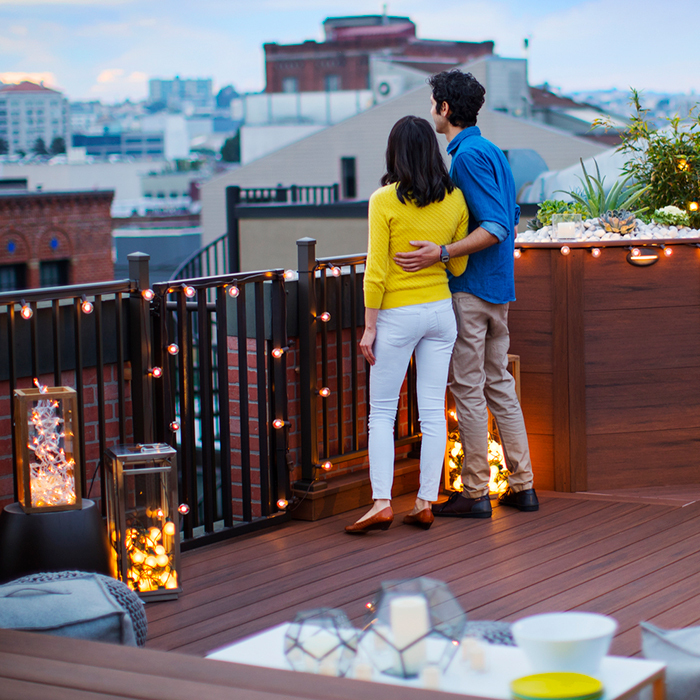 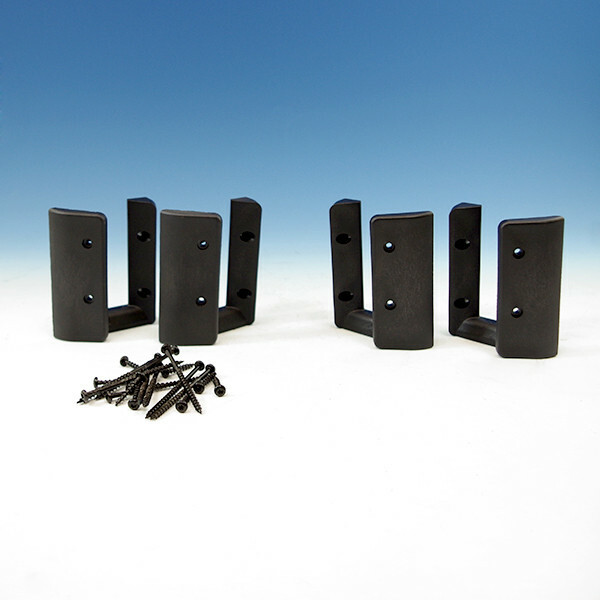 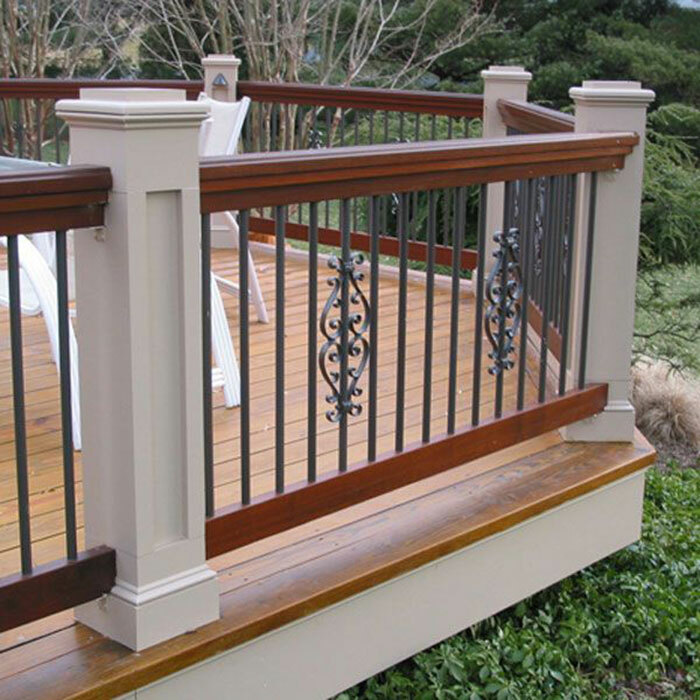 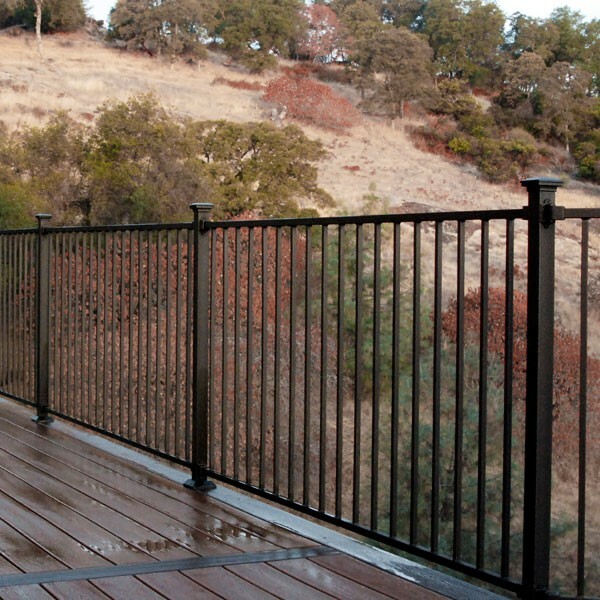 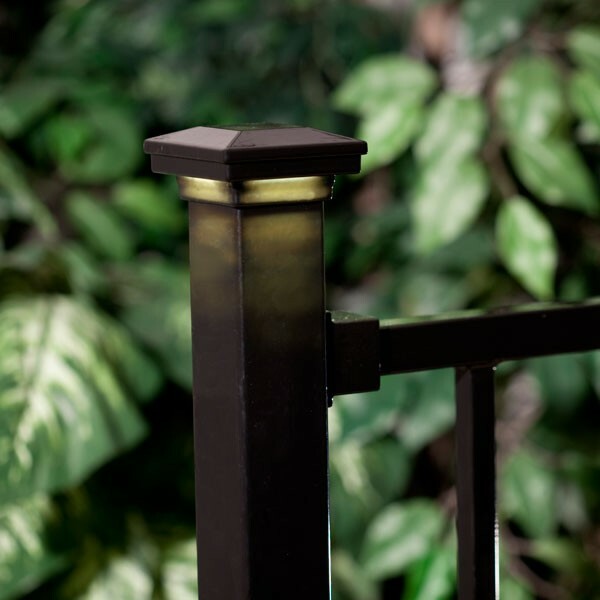 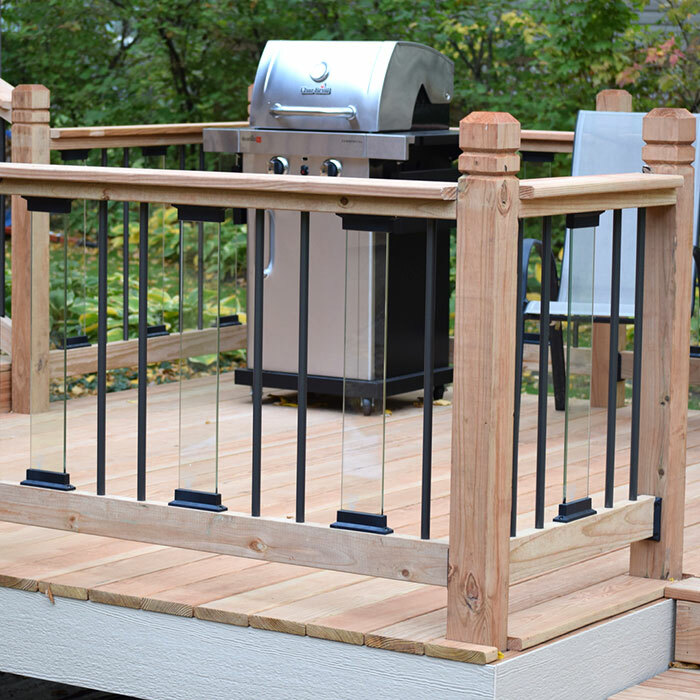 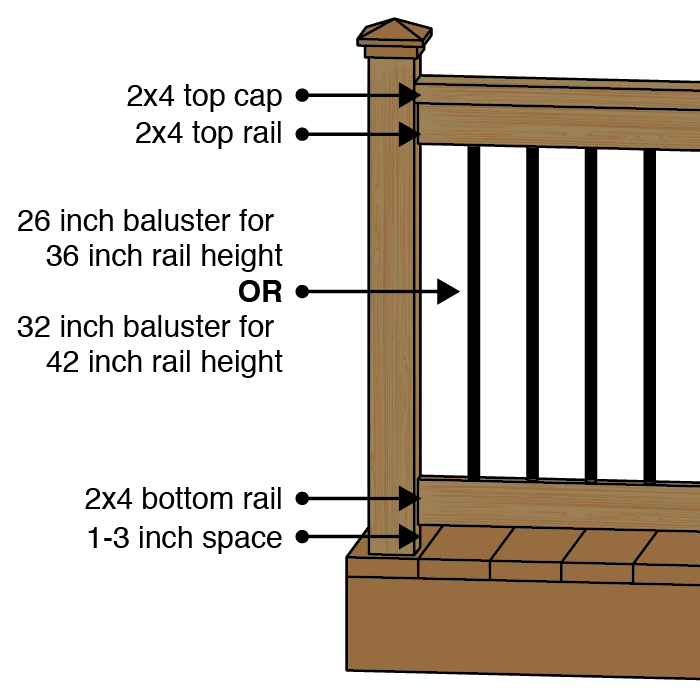 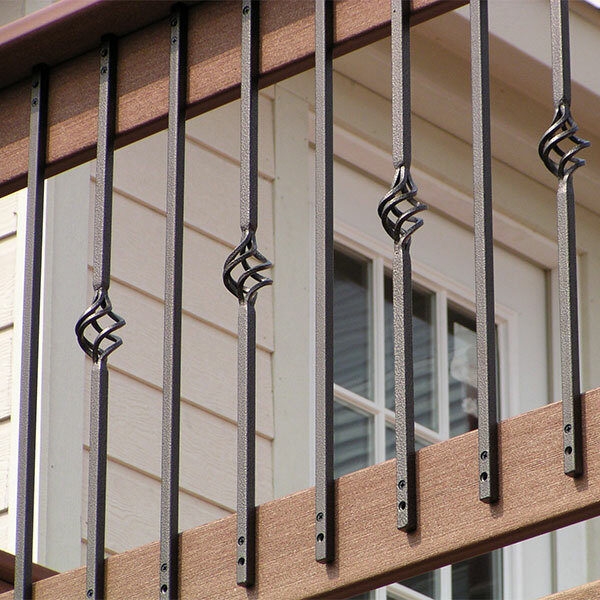 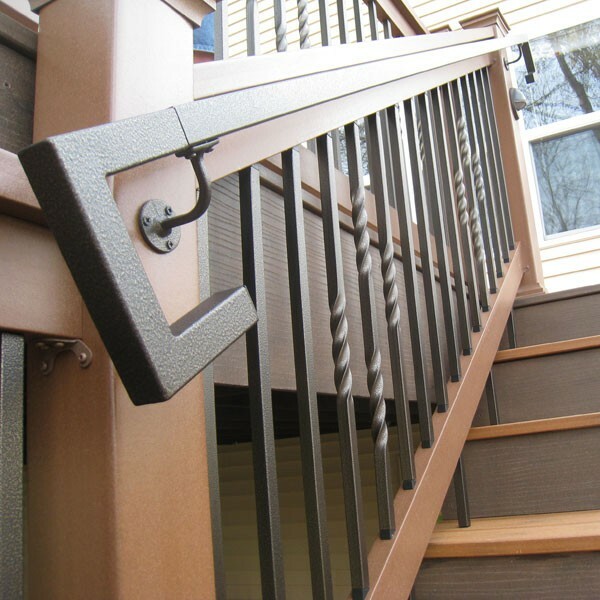 Its strong rail-to-post connection for wood or composites hides cut rail ends and adds a sleek black accent that coordinates with Fortress Balusters. 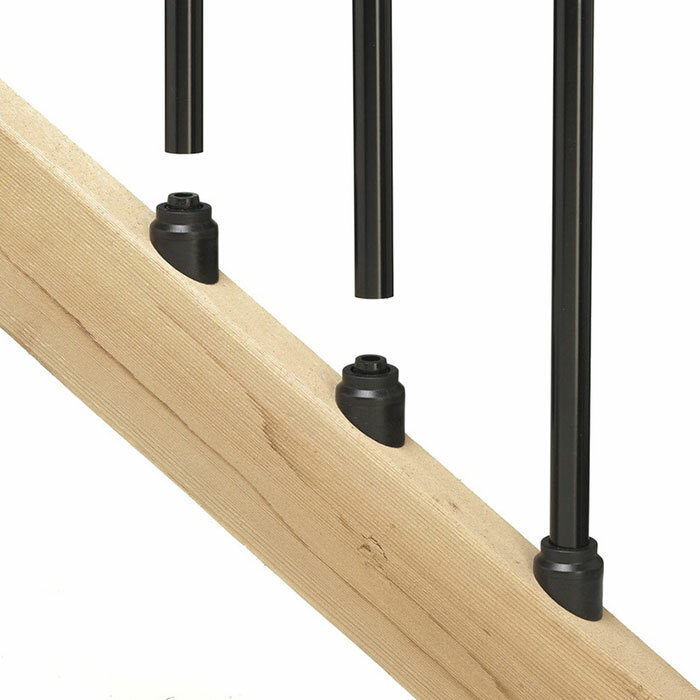 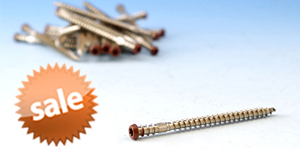 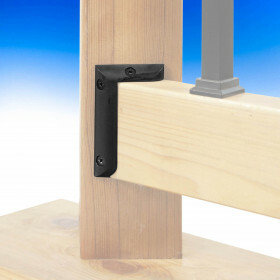 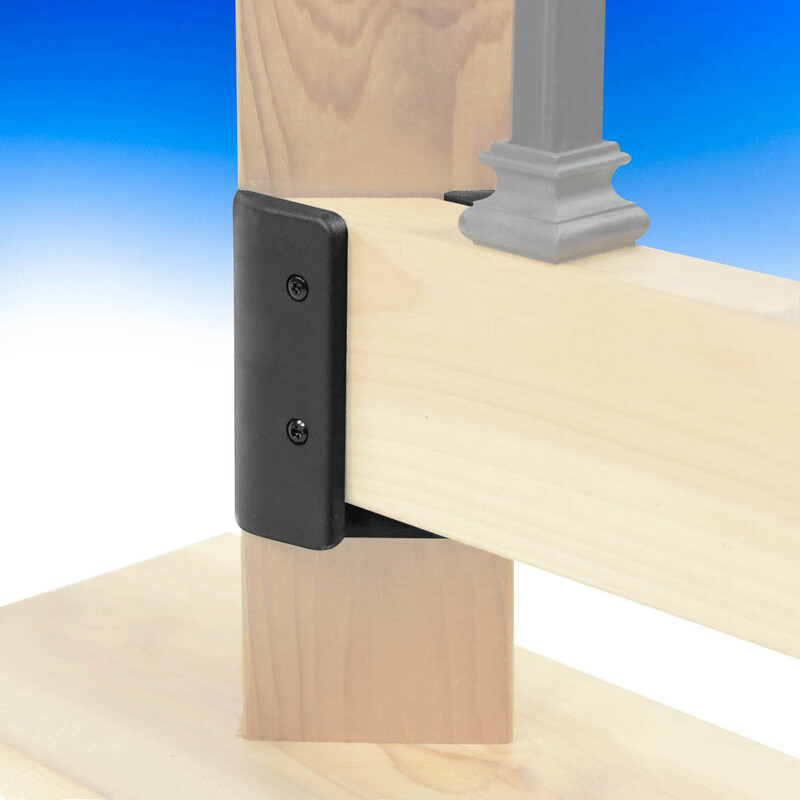 Compatible with standard 2x4 rails, just cut the rails to your 45 degree angle and install with the included wood screws. 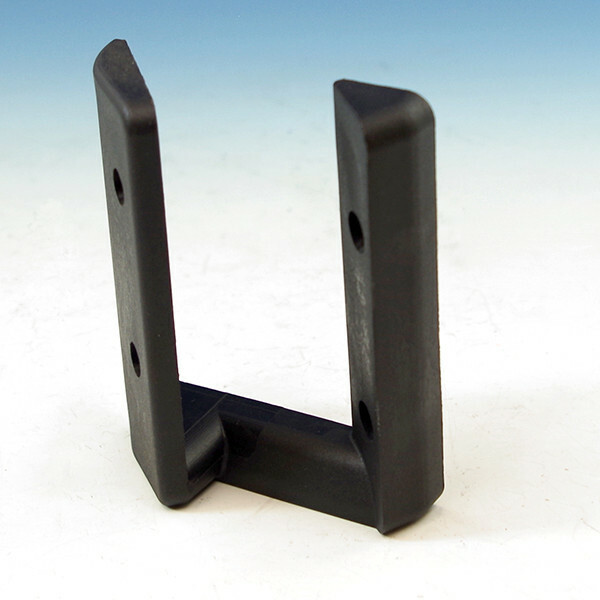 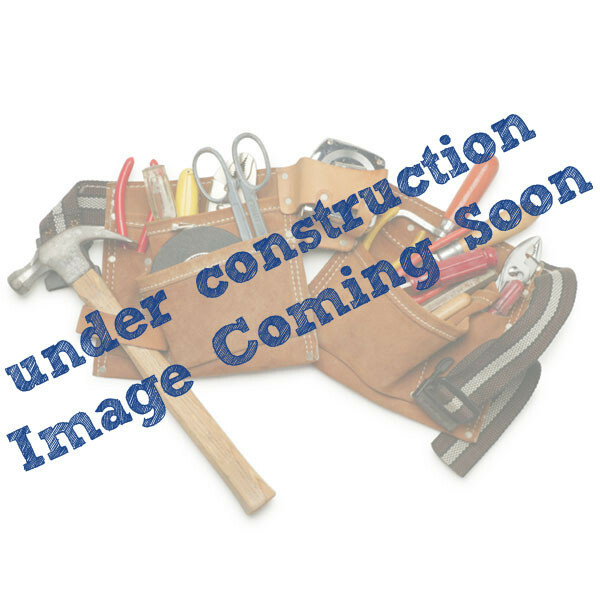 Width x Depth x Height Outside Dimensions: 3-3/8" x 1-1/4" x 4-1/8"
Inside Dimensions: 2-3/16" x 1-1/8" x 3-1/2"